Listen to "Chronicles of crime and criminals No.1" on your iOS and Android device. 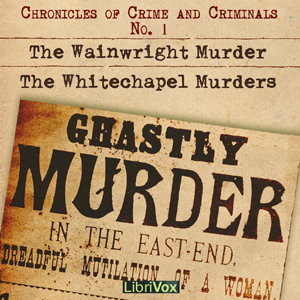 Published by Beaver Publishing Company, Toronto, and subtitled "Full and authentic account of the murder by Henry Wainwright of his mistress, Harriet Lane, and an extended account of the Whitechapel murders by the infamous Jack the Ripper." I liked the whitechapel murder account- well balanced and informative. Good read highly recommended!